So how do you find a life coach that’s right for you? 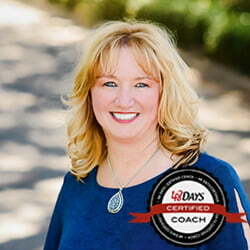 There is a lot that goes into finding the perfect life coach: specialty, budget and personality fit. 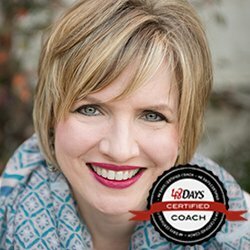 We have a full team of 48 Days Certified Coaches in a variety of specialties and some unique new ways to get you the coaching you need to fit your budget. Tell us a little about yourself and your goals, and Dan’s daughter Ashley will match you with the perfect coach for you. Note: there’s no obligation right now and no cost to get our recommendation. Looking for direction on a limited budget? We have a specialized package just for you. 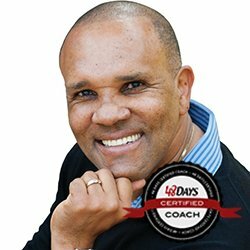 Our elite 48 Days Coaching Mastery Program is the intense training each of our 48 Days Certified Coaches receives, and part of the requirement is 48 hours of paid coaching. As a way to help our coaches grow in building their own practice, those currently in the program can provide this coaching package – bringing in their areas of expertise as well as addressing the need for a discounted package for applicants looking for guidance. If you have a specific issue and you need a targeted approach in one particular area, this may be another option for you. Simply note this on the interest form, and we’ll connect you with one of our coaches in training to get you started! Here at 48 Days, we believe that 85% of the process of finding work – and the life – you love is by looking inward first. That’s a large reason why the personality profiles are included in every coaching package as well as our best-selling item in our store. Dan’s daughter, Ashley Logsdon, has made understanding DISC and personality styles the backbone of all her work both in the professional and marriage/family arena. Understanding what motivates you, how to not only communicate, but truly connect, and how to thrive in your strengths is her main focus. All of the coaches listed here have been through our extensive Coaching Mastery Program and are Certified 48 Days Coaches. Each has a different specialty — from financial planning and business coaching to health and wellness and relationships. Because they are so varied, coaching takes on a variety of forms. Sometimes, just one or two video calls is all that’s needed to get you started on the right track. Other times, coaches recommend a series of sessions over a longer period of time. Once Dan’s daughter Ashley matches with a coach, you work out the package and payment arrangements directly with your coach. “The best way to predict your future…is to create it” Leverage your message, grow your business and thrive. The uniqueness in each of us strengthens all of us – Move from reaction to intention by helping you thrive in your strengths for deeper connection with others. Start feeling alive with work you enjoy! We’ll get you to where you want to be. Focusing on helping the future generations to Live for More! Coaching women who are in transition, stuck or waiting to discover their passion and design so they can live a wildly fulfilling life, filled with meaningful relationships. Lead a visionary life and become the best version of yourself by focusing passion, purpose, clarity, energy, courage, productivity and influence. Helping people get to where they want to go personally and professionally! Creating better Relationships in 30 Days or Less! Helping You – Discover or Rediscover your Purpose – To Live Your Best Life. The guy you go to when you want to grow your business. | Motivate. Lead. Equip. Helping you create a quality of life through effective communication. Partnering with you to Discover, Dream and Do the life you were born to live. Faith-centered Success Coach, podcaster and copywriter who’s passionate about helping motivated women create thriving online businesses. Live with purpose. Transform your life. Just take one step to start. Fill out a brief interest form. There’s no obligation at this time. We’ll be back in touch with you to help you find the best coach for you. What Does Career Coaching / Life Coaching Look Like? This coaching process is not traditional counseling. While counseling focuses on the past, life coaching and career coaching is very future oriented. Coaches don’t dwell on where you where or where you are as much as being your guide and accountability to get you where you want to be. Coaching takes a variety of forms. Sometimes, just one or two video calls is all that’s needed to get you started on the right track. Other times, coaches recommend a series of sessions over a longer period of time. It is typically faster-paced than traditional counseling with accountability and action steps incorporated into the times between sessions. We work with clients on setting priorities and goals, identifying your “unique value,” and walking with you through the steps of taking action that will enable you to achieve a higher level of success in a particular area. 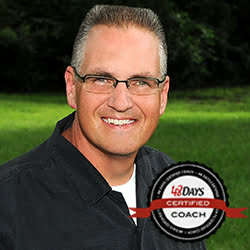 This addresses all aspects of your life, and each coach has a different specialty – finance, career, home, fitness/nutrition, relationships, spiritual development, etc. Some coaches specialize in certain aspects, like writing a resume, functioning with ADHD, or understanding personality styles in your home. A Career Coach zones in on the specific area of helping you find success in your career or vocation. We recognize that work models are changing. The old model of a traditional 8-5 job is not the only choice. In working with professionals from all areas, we explore consulting, free-lance work, franchises and entrepreneurial opportunities as well as the traditional career paths. The correct focus for this can only be discovered by knowing what is unique about you. This was our primary focus, however as our Coaching Mastery Program has expanded to all coaches, so is what we offer for coaching! How Much Does It Cost to Hire a Career Coach or Life Coach? Pricing varies depending on the coach and the type of coaching. For instance, Dan’s daughter Ashley has a coaching package to help people understand their DISC Profile for $375, while Jevonnah Ellison has a VIP Coaching Experience for $12,000.